Choose a photo to publish. If you have applied blurring, choose if you want to apply the blur to your published photo. Tap More More &gt; Apply blurring or Remove blurring . 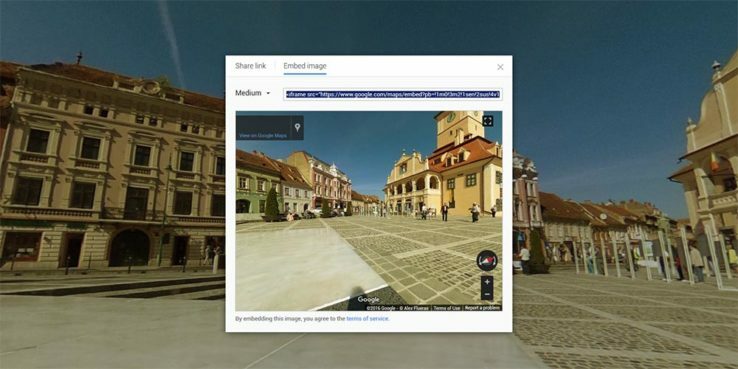 Enlarge your 360 image full screen. On the top left hand side click on the three vertical dots. Choose “Share or embed image”. Copy / paste the code it into your HTML or text editor where you want it to appear on your site. For more options see the instructions on Google Street view.